Submittal transmittal form are mainly documents or forms which are required in the construction or real estate industry. 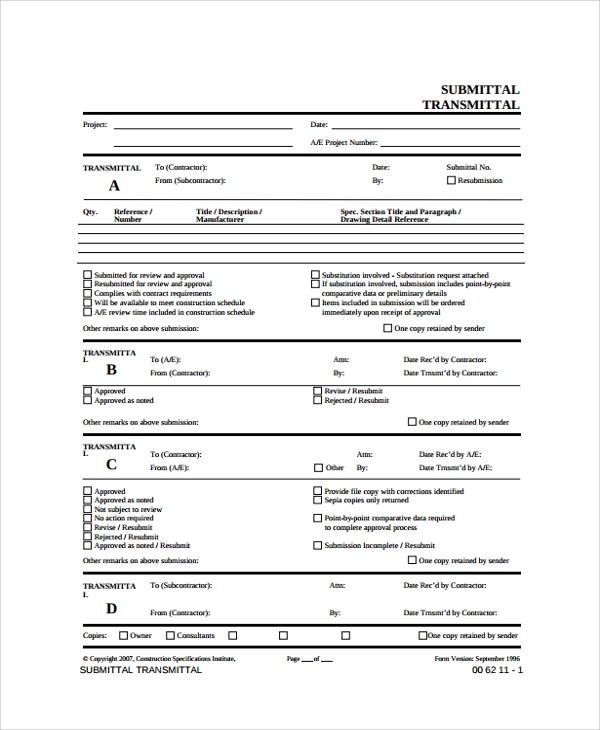 A transmittal document is used when any matter or material is transmitted to some party. 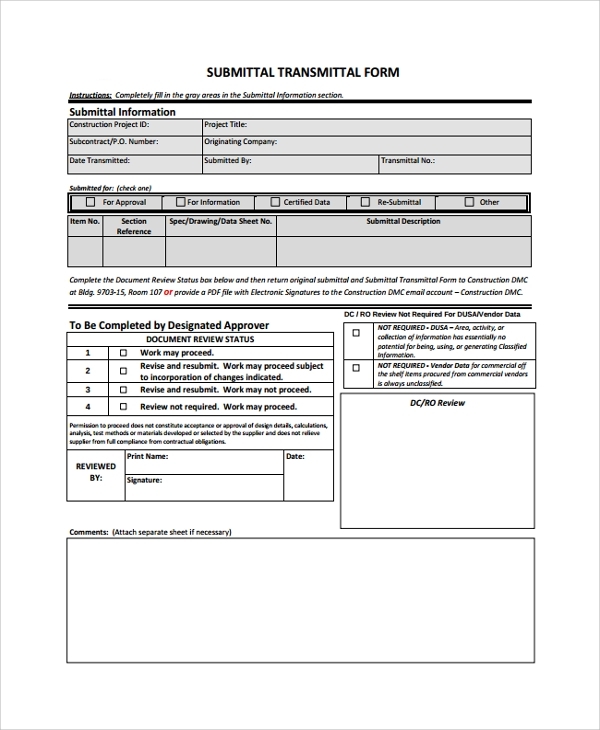 A submittal form is the document which is presented for review purpose to consider any decision or review. These forms are important parts of civil job. 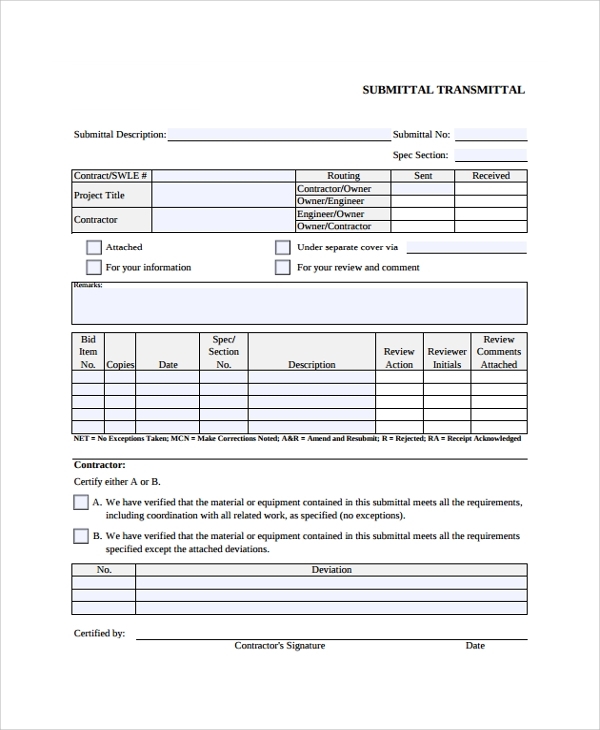 Contractor transmittal forms can be of different kinds depending on the material or service supplied and which needs to get approved from a senior or contractor. 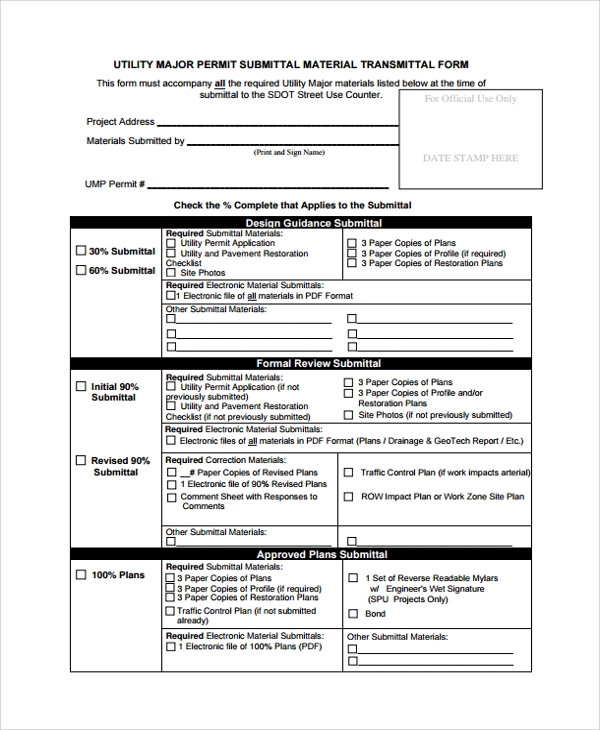 Each project has different patterns of submittal and transmittal drawings.You may also see pledge forms. 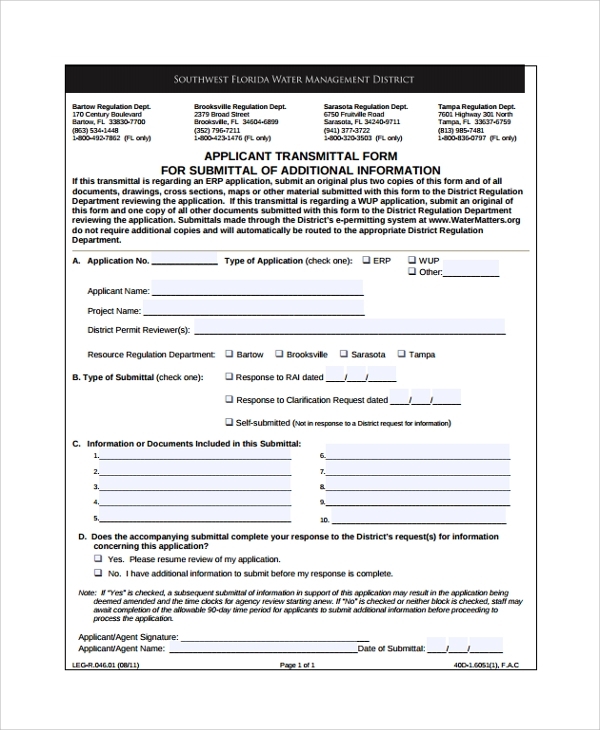 Submittal and transmittal forms are usually used by architects, construction professionals and engineers. 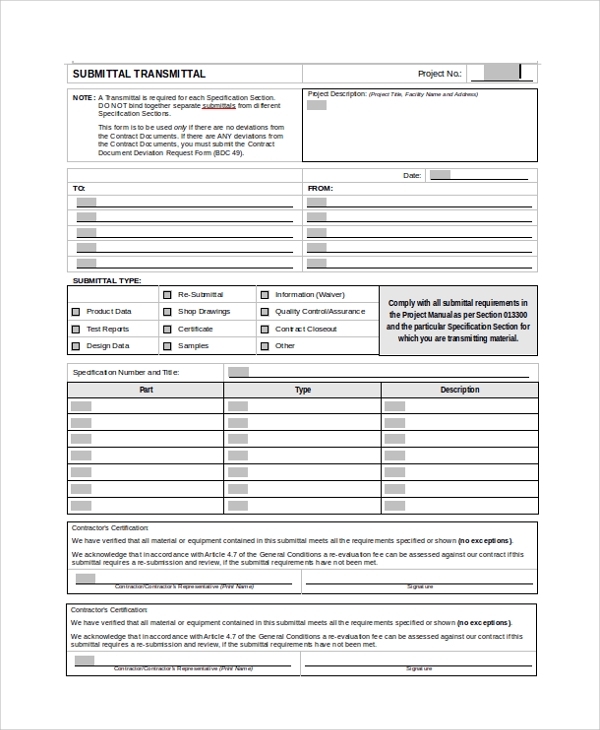 This form will include the details of the project for which the material or equipment is transmitted, number of equipment and description of each material must be there. 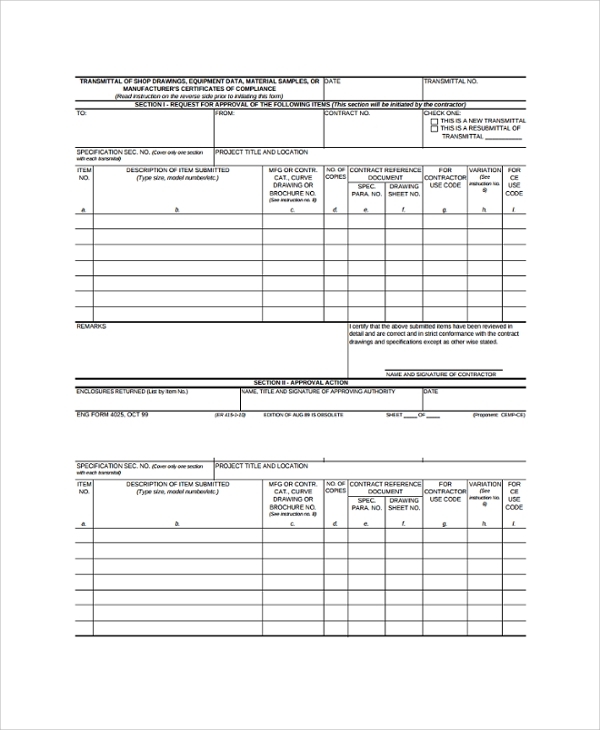 It must have all the details, if there is any variation, contractor use code, details of reference document must be mentioned there too.You may also see material release forms. 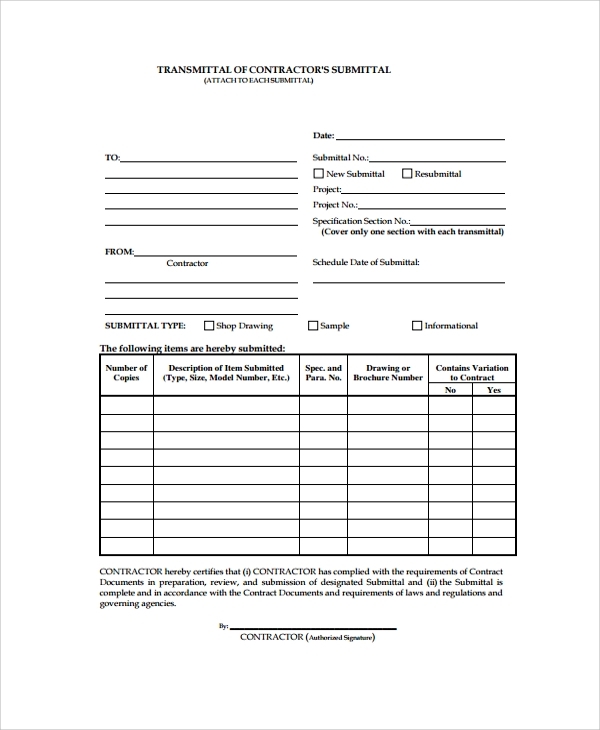 This Subcontractor Transmittal form includes the details of the drawings provided for the particular project, what are specifications of the project, it must also mention the drawing is for which particular part or slab. It should include the type, size and model number of each drawing which will help to specify for approval.You may also see army forms. 1. Mention all the details which are to be filled in and submitted. 2. Mention the project name and title for which you are submitting the materials or drawings for approval. 4. Variation column must be considered and a written statement must be provide for remarks.